Preheat the oven to 425° with racks positioned in the upper and lower thirds. On 3 separate rimmed baking sheets, place the brussels sprouts, cauliflower and carrots. Toss the vegetables on each baking sheet with 2 tablespoons of the oil. Season with salt and pepper. Roast the brussels sprouts until tender, 20 minutes. Tent with foil and keep warm. 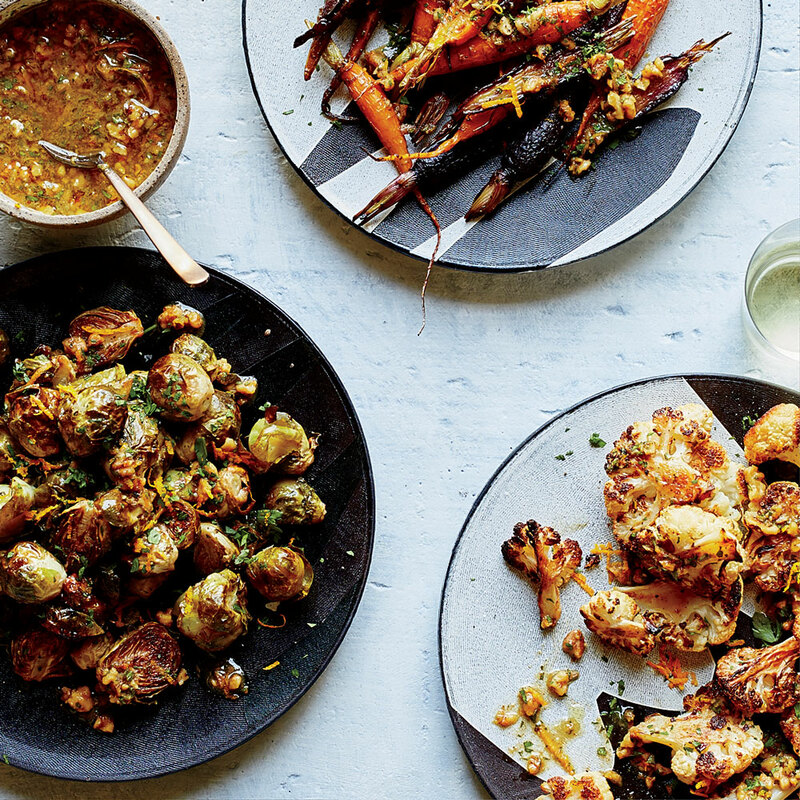 Roast the cauliflower and carrots until golden and tender, 30 minutes. Let cool slightly, then transfer the vegetables to bowls. Meanwhile, in a medium bowl, whisk the vinegar with the maple syrup and Dijon. While whisking constantly, slowly drizzle in the remaining 1/2 cup of olive oil until incorporated. Scrape the smashed walnuts into the bowl, then stir in the 2 tablespoons of parsley and the 1 tablespoon of orange zest and season with salt. Drizzle the vinaigrette over the roasted vegetables, garnish with more parsley and orange zest and serve. В интеренете нашел нужный сайт , он рассказывает про www.agroxy.com.